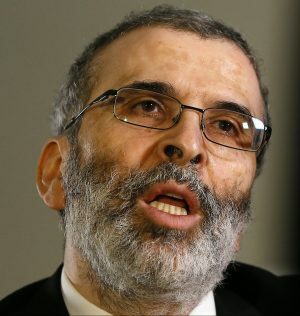 The tussle between the National Oil Corporation (NOC) and Wintershall appeared to be coming to a head this evening as NOC chairman Mustafa Sanalla told the German oil firm that it could accept contract terms common to all other foreign companies or it was “free to leave”. Sanalla’s blunt warning came as he accused Wintershall of shutting in 50,000 bpd from its Sara field without authorisation from NOC . A Wintershall field engineer told Reuters earlier today that production, which he put at only 40,000 bpd, had ceased because of protests by the community in nearby Jakharra. “As we understand [it] the action is not targeting Wintershall” said the engineer, “We are in close contact with the community and NOC about that, but please understand that we cannot comment further”. The community had put out a statement, reported the news agency, saying it had taken the action because NOC had failed to respond to its demands. It also threatened to extend the protest to the 20,000 bpd Nafoura field which NOC operates with Austria’s OMV. Sanalla however has riposted that the protest, which he said was costing Libya $3 million a day, was actually about the new contract terms that Wintershall is resisting. NOC insists that in 2010 it and Wintershall signed a Memorandum of Understanding under which in return for extending the company’s 1956 concession, due to run out last year, it gave up uniquely advantageous terms and accept the type of Exploration and Production Sharing Agreement (ESPA) under which all other foreign oil companies in Libya operate. A partial agreement between the two sides was reached in June after mediation by the German ambassador Christian Buck. Having said that the Jakharra community was very important to NOC and that it shared its ideals of a better life for the people of Libya, Sanalla warned the protestors “We have a very clear position of not making concessions to blockaders. We can discuss what can be done to support the valued and respected Jakharra community once production is restarted, but there is nothing to discuss while production is shut in”. He said NOC was aware of unsuccessful efforts to involve other communities in the blockade. “Blockades can destroy the country” said Sanalla, “They are a form of national suicide. Nothing can justify the use of this tactic”. He concluded by saying that NOC was very concerned that Wintershall had decided to shut in production without consulting it. “We have demanded an explanation, particularly since the protests at Jakharra are explicitly intended to block the implementation of new contract terms for Wintershall” he said. “This is a very serious matter, so let me make something very clear. We will not allow Wintershall to go back on its contractual commitments to the people of Libya. That game is already over. Wintershall will not continue to produce oil under different terms from every other international oil company working in the country”. Sanalla said that if Wintershall wished, the new contract could be finalised soon. “It will be good for Libya and good for the people of Jakharra, especially since it places extensive corporate social responsibility and environmental obligations on Wintershall. If it [Wintershall] does not wish to implement the new terms, it is free to leave”.